A few days after President John F. Kennedy ’40, LL.D. ’56, was assassinated on November 22, 1963, crowds flooded a tree-lined block in the Boston suburb of Brookline. A simple outdoor memorial service took place in front of 83 Beals Street, where Kennedy, a beacon of hope and progress for a young, baby-boom generation, had spent the first three years of his life. Now a National Historic Site, the modest home is still a point of pilgrimage, and is open for guided tours from May 5 through Columbus Day. This year, May 29 marks the hundredth anniversary of Kennedy’s birth; to celebrate, the National Park Service has planned a day of music, cake, and guest readings of his iconic speeches (e.g., his inaugural address, “Ask not what your country can do for you, but for what you can do for your country”), along with an evening “1960s Birthday Party” with music, dancing, and food. Special centennial activities will continue throughout the season, and the home will be open for a wreath-laying ceremony, “JFK Remembered,” on November 22. 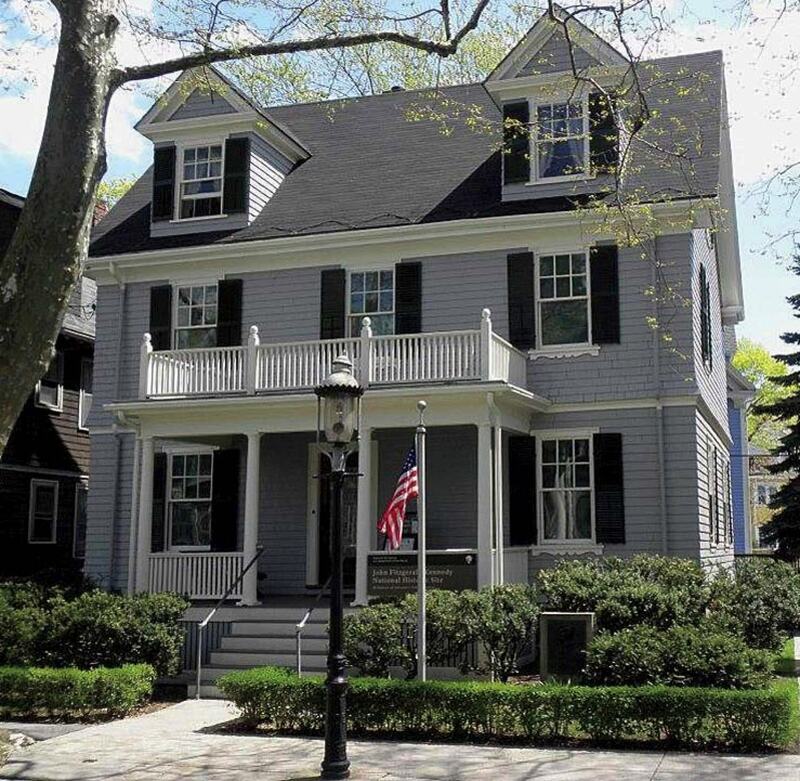 Kennedy’s parents, Joseph P. Kennedy ’12 and Rose (Fitzgerald) Kennedy, both hailed from political families and moved to the Colonial Revival home as newlyweds in 1914. Four (of their ultimately nine) children lived there before the family moved in 1920 to a bigger home nearby, and then to Riverdale, New York. The future president was born in his parents’ upstairs bedroom. The bed is there, above it a minute copy of a Renaissance-era painting of the Madonna and Child. (Rose Kennedy was a devout Catholic.) 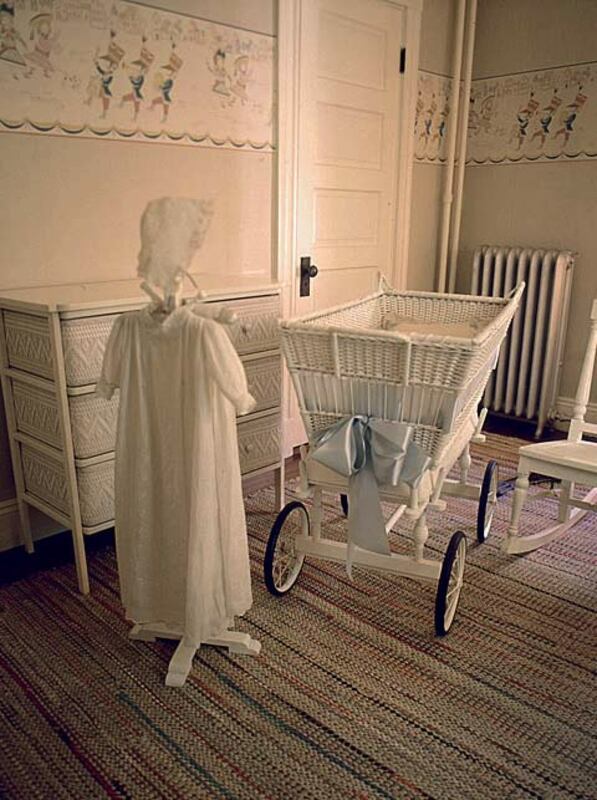 He soon joined his older brother, Joseph Jr., in the small nursery down the hall that’s decorated by a strip of wallpaper featuring marching drummers; Kennedy’s christening gown hangs next to his white wicker bassinet. 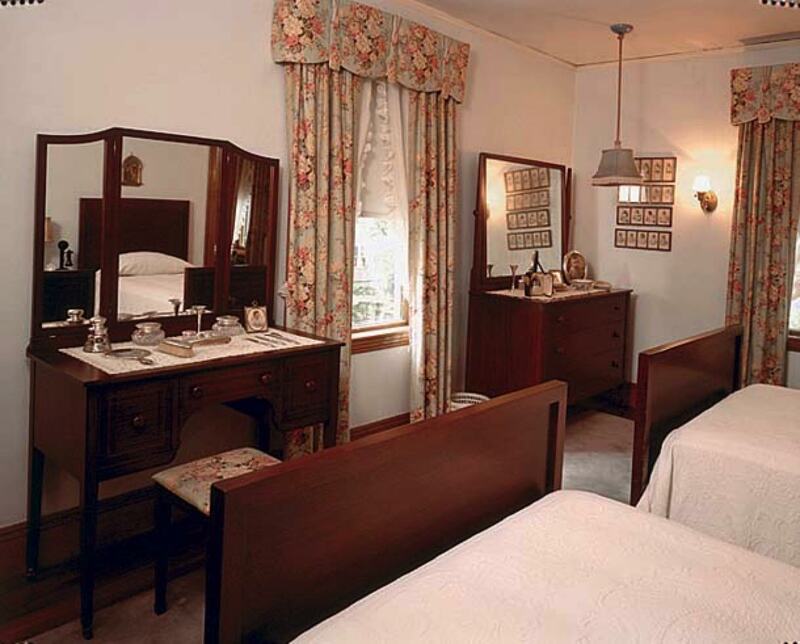 The girls, Rosemary and Kathleen, shared a separate bedroom. Downstairs, the dining room is set with family china, and the boys’ silver porridge bowls sit on a pint-sized table. 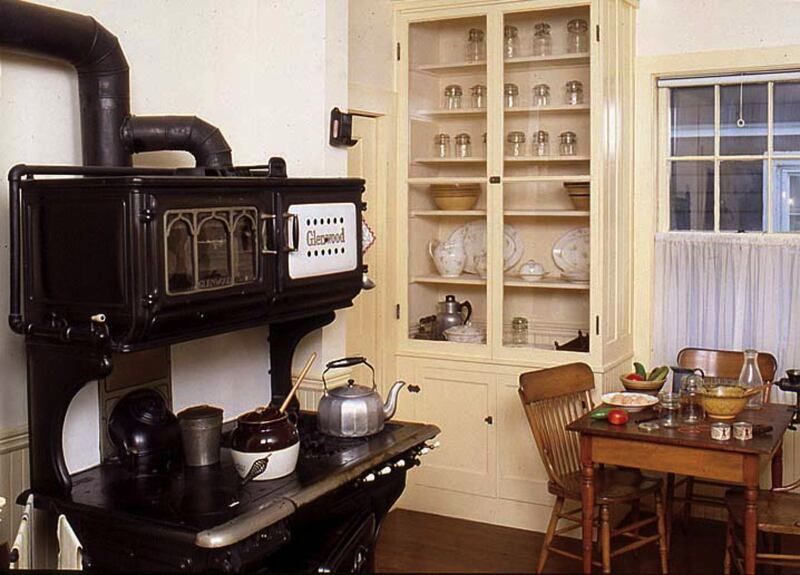 The kitchen has a coal-fed stove, a soapstone sink, and a bean pot used for Sunday suppers. Rose Kennedy restored the house, which opened to the public in 1969.